This kit has everything to get you started on self-care immediately after discharge and be successful. Clinically-vetted tools protect and keep you safe. Step-by-step instructions have large, color photos (not tiny type on flimsy, folded paper) showing how to use these tools and manage any pain. 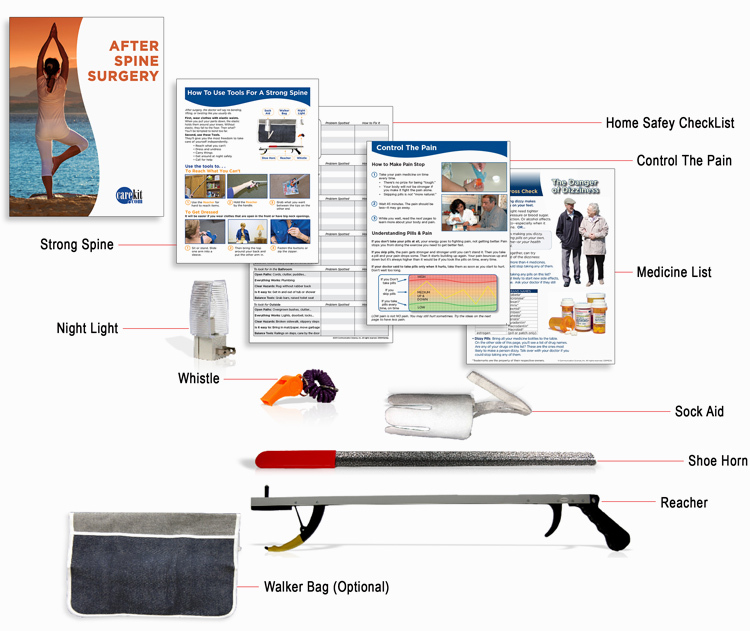 The Home Safety Checklist helps avoid twists and falls. The Care Kit is the shortest route back to normal! © 2016 Communication Science, Inc.